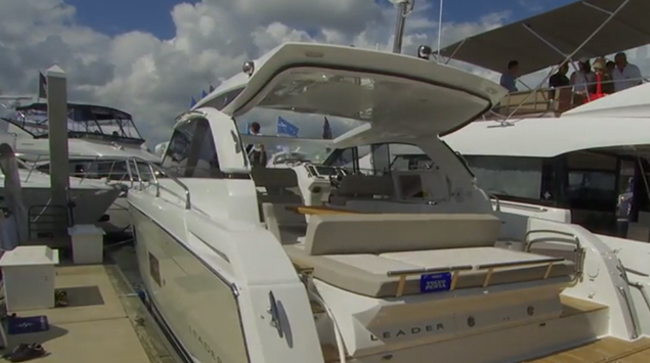 The entry level into Jeanneau’s Leader line, the 2016 Leader 36, is right at home with her big siblings. 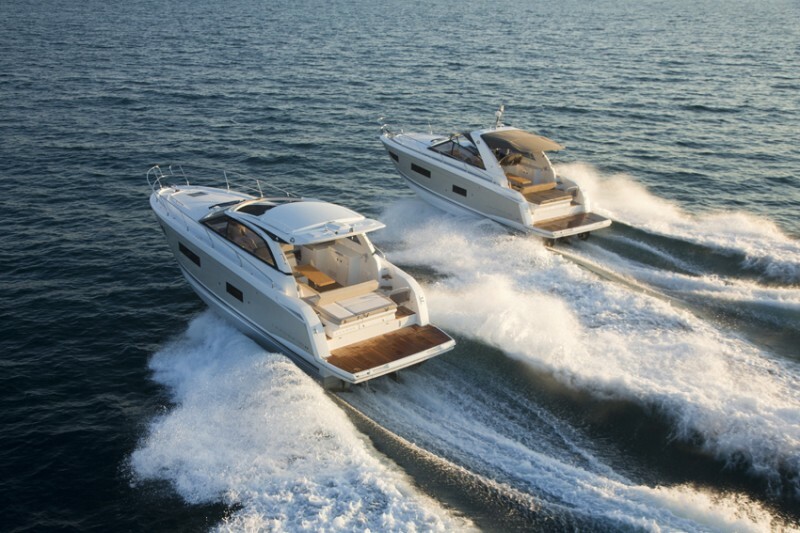 Jeanneau introduced their Leader line with a forty-footer last year (read Jeanneau Leader 40: Clever Cruiser, to learn more about the original model in this line,) and her smaller sister, the 2016 Leader 36, debuted at this year’s Fort Lauderdale International Boat Show. 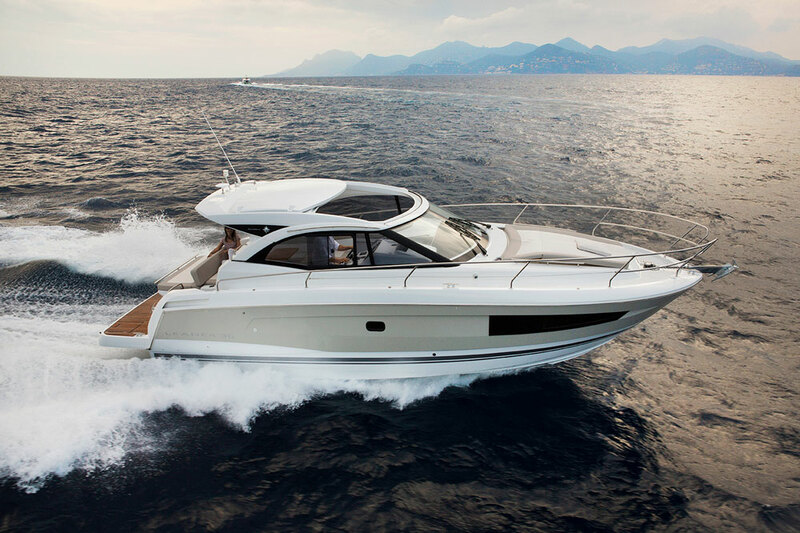 With a V-shaped hull designed by M. Peters and sporty lines by Garroni Designers, this new model will appeal to those who want a smaller package without sacrificing much below. This First Look Video will give you a peek. By day, the interior saloon is open with the galley and small dining table joining the living area of the master stateroom. By night, the forward cabin can be closed off with a pocket door, allowing privacy for both the owners and the guests—who have their own spacious accommodations aft. A shared head is to starboard and across from the galley. Overall, the boat feels much bigger below than a mere 36 feet. 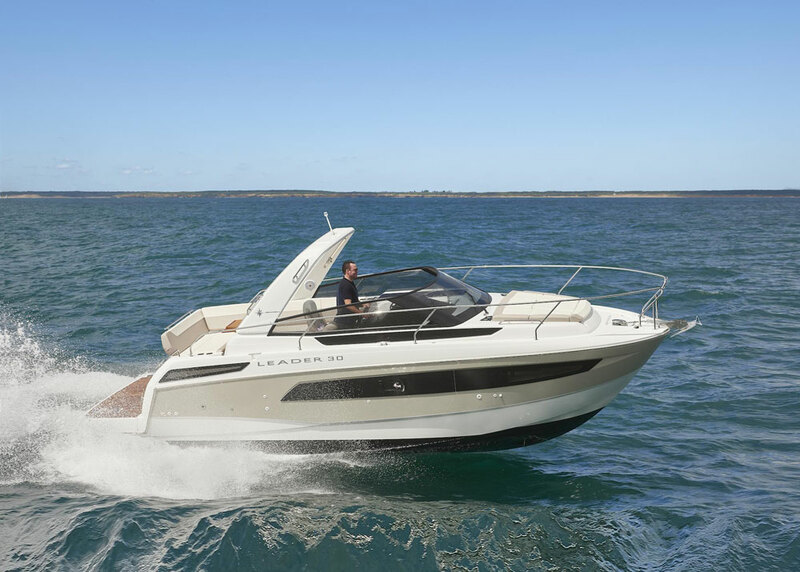 The Jeanneau Leader 36 is just as clever up top, with a sunpad that quickly converts to the aft seat of a U-shaped dinette and also lifts electrically to reveal access to the engine room. 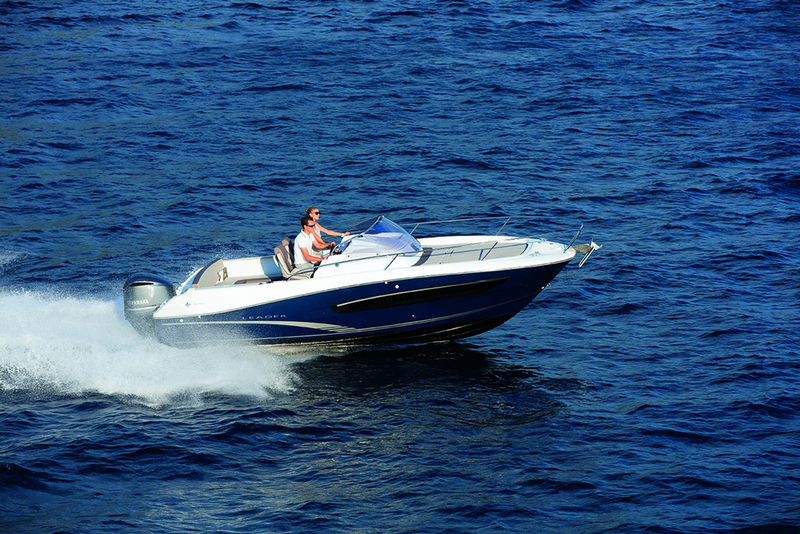 Here, there’s a choice of either twin Mercury 5.7 L 300 HP gasoline engines or twin Volvo Penta D4 diesels from 260 to 300 HP. 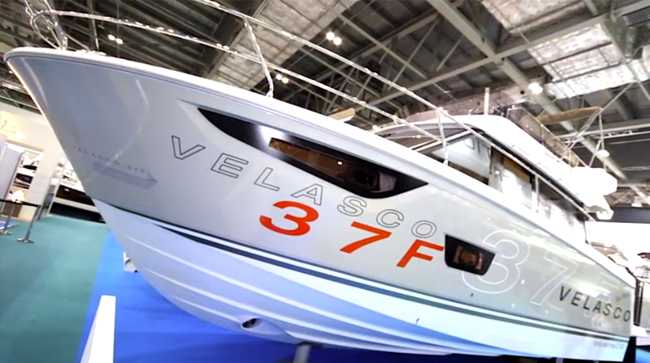 Either choice should have this model cruising in the high 20-knot range with a top speed in the high 30s. 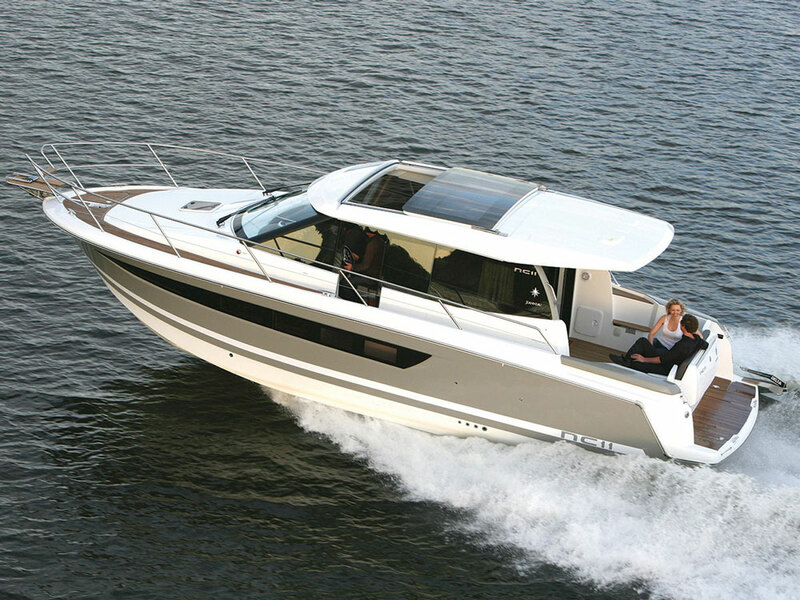 For more information visit Jeanneau, or take a look at listings for Jeanneau sport cruisers.